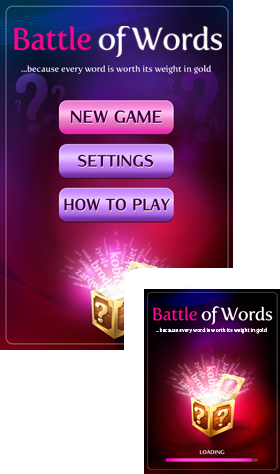 Battle Of Words is a simple, addictive word game. Perfect for meeting with friends and colleagues. 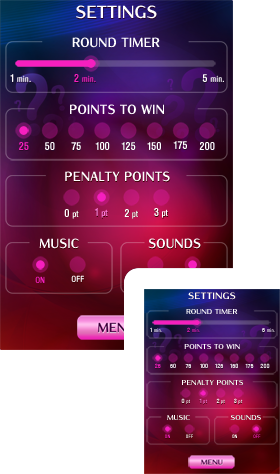 Best of this type for iPhone/iPad. 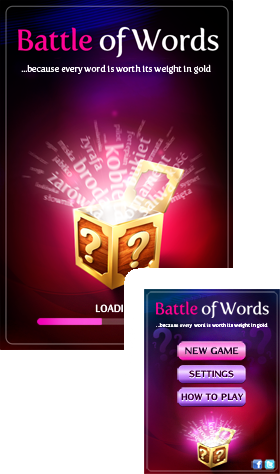 Make sure you try out our free version Battle Of Words Free and we guarantee you will play it for a long time. 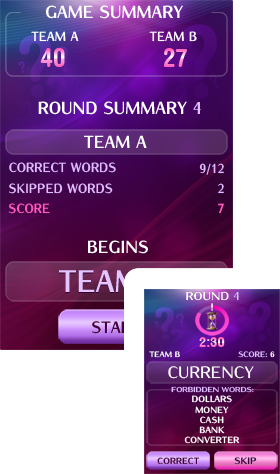 The game does not require an Internet connection however you need 4+ people to discover its great potential. Please have in mind you can play it on 1 device. 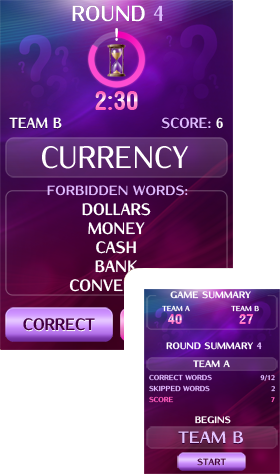 Here is short movie Battle Of Words showing features and its game play however this is one of those games which you have to actually play with your friends to discover that it will become a number 1 game for all your parties and meetings. 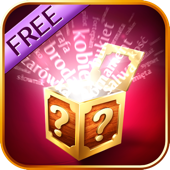 Check this out yourself Battle Of Words free!